A file photo of Starbucks cups. 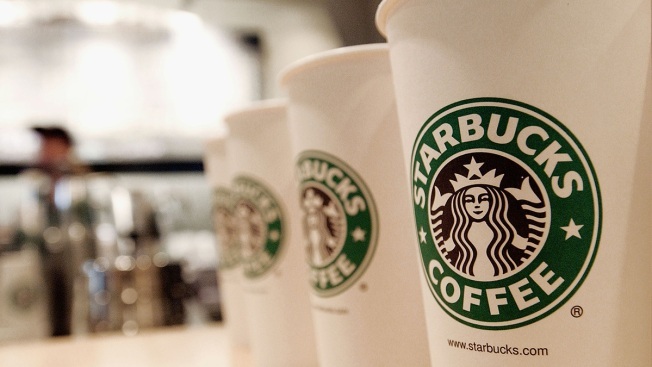 Ahead of its annual shareholders meeting Wednesday, Starbucks announced plans to switch up its North American loyalty program in a bid to keep growing its membership as it continues rolling out delivery. The U.S. and Canadian coffee markets have grown more competitive as rivals like Dunkin’ Brands and McDonald’s have been investing in their own java offerings. Last week, Restaurant Brands International’s Burger King announced that customers can pay $5 — around the cost of a Starbucks cappuccino — for an entire month of coffee if customers order through their app. Meanwhile, craft coffee shops continue to lure away customers with their high-end beverages. Other restaurant companies also have been investing in their app-based rewards programs to grow consumer loyalty. CEO Kevin Johnson first teased that changes would be coming to Starbucks Rewards during the company’s first-quarter earnings call. The number of rewards members increased 14 percent compared to the same time last year during that quarter. The decade-old program counts more than 16.3 million people as active members, who account for about 40 percent of Starbucks’ transactions. Starbucks has struggled to keep customers coming back as its latest drink innovations have largely fallen flat with consumers. During its first quarter, same-store sales rose by 4 percent — mostly thanks to a 3 percent bump in average check size. The coffee chain is now focusing its attention on drinks that drive brand affinity, like the Nitro Cold Brew. But it has been more successful convincing customers to use its mobile app, which lets them skip the long line by ordering and paying ahead ahead of time. The app also builds awareness for the program by pushing non-members to join and gives the company more access to customer data, which can help them fine-tune promotions and new products. And as Starbucks prepares to launch delivery to a quarter of its stores by the spring with UberEats, it’s working to add delivery orders as another capability of the Rewards app. In 2016, the company switched to a value-based program that awards customers with two “stars” for every $1 spent. The current iteration lets members receive a free food or drink item in exchange for 125 points. But starting April 16, members more eager to spend their points can start redeeming them at only 25 points. The updated program will also eliminate the two tiers of Starbucks Rewards: green level and gold level. Prior to the changes, only gold level members, who earned 300 points to ascend to that tier, were able to redeem their stars for a free food or drink item. The change is a bid to get new members more engaged with the program. The greater range of options is meant to appeal to a wider spectrum of customers, from those who prefer to spend rewards points quickly to those who hoard them. Ryan said that he himself has earned “thousands and thousands” of points. Another change to the program also recognizes points hoarders. After April 16, customers who attach the loyalty program membership to their Starbucks Rewards Visa credit card or a prepaid card will no longer have to worry about their points expiring. Under the current rules, any gold level points expire six months after the calendar month that they are earned.